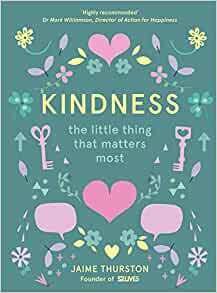 Start reading Kindness: The Little Thing that Matters Most on your Kindle in under a minute. ‘Kindness is overflowing with inspiring messages to help us all remember the importance of being kind. Whether you're young or old, these are inspiring reminders of how we can make society better for all of us.’ – Bullying UK, part of Family Lives. ‘I was always bought up to show loving kindness towards others. To help others, like 52 Lives does, is a selfless act. It doesn't cost anything to be kind and it can mean so much – a simple smile costs nothing.’ – Duncan James, singer from Blue, actor and presenter. 52 Lives is a registered charity that aims to change someone’s life every week of the year, with the support of almost 100,000 strangers and 52 celebrities who spread kindness and collectively change lives. It was founded in 2013 by Jaime Thurston, who has been featured by request on Surprise Surprise and Radio 4. 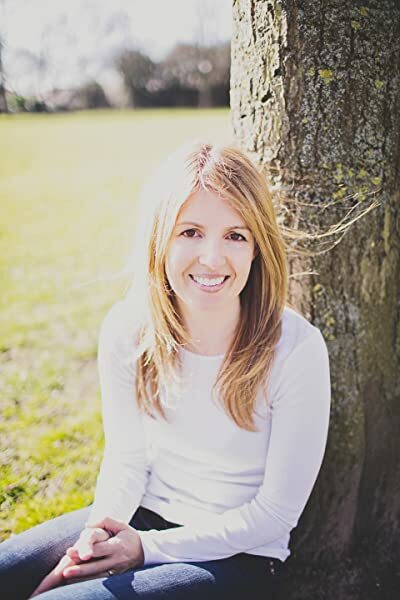 Jaime Thurston has received a Points of Light Award from the Prime Minister and was name Clarins/You Magazine Woman of the Year in 2016. I love this book, it made me feel warm and inspired reading it. I have already put into practice some kind things within it that I wouldn't have otherwise thought to do e.g. apologising to a customer service person after getting upset with them (it actually felt good to say sorry and was so well received!) I have just bought a couple of these lovely books as Christmas presents. What a beautiful book. The content is engaging and thought-provoking, while the illustrations add a wonderful touch. Not only a great read but also teaches us about simple ways to be a better person. Love it! 5.0 out of 5 starsLOVELY WEE BOOK! Love this little book. I am not much of a reader but I have been addicted to this! If only we all lived by the suggestions in this book. I bought it for myself, but love it so much I am going to buy it for gifts for others. Well made - nice thick pages, well written and great quality. Arrived promptly and well packaged. 5.0 out of 5 starsIncredible book! What a brilliant book! Jaime you should be so proud. I will be undertaking one of these ideas every week for the next year. A brilliant way to inspire kindness into everyone! 5.0 out of 5 starsThis really does matter! What a beautiful book! This really does matter, it should be on the primary and secondary school syllabus... and nursery age, and university. This book, like Jaime herself,is amazing. Her ideas are simple, easy to carry out, and any one of them can make a huge difference to, not only someones day but to their life. We should clone Jaime she is an inspiration to all of us and she makes the world a kinder and better place to live in.